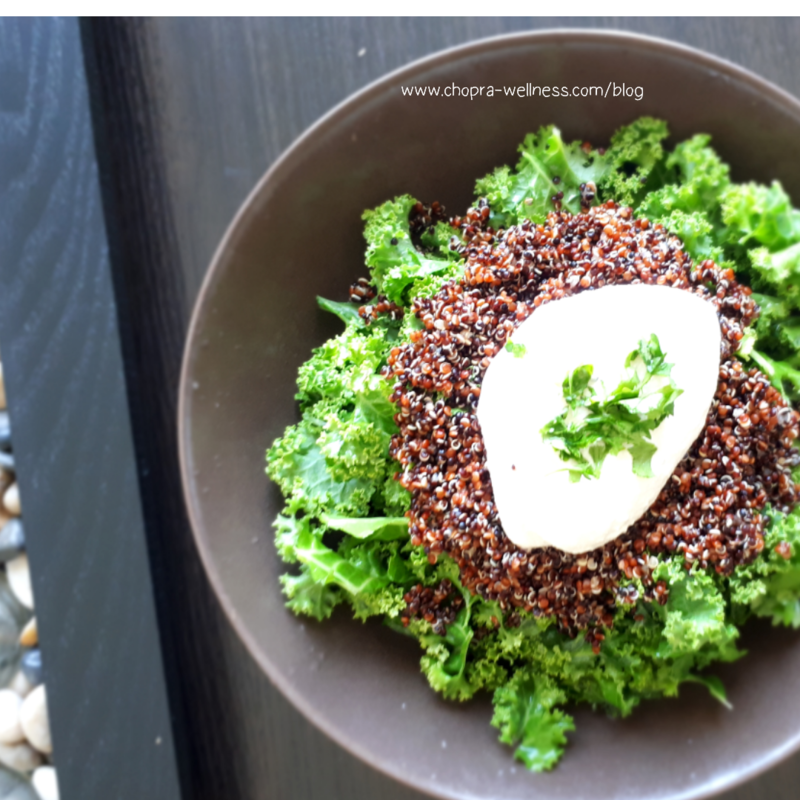 Lunch inspiration: 10 minute recipe for creamy kale and quinoa salad. There are some days that I find it hard to prepare fresh meals to consume within the same day that I make it. I usually try to wake up early those days to get my meals sorted. I mostly try to either prep my meals over the weekeneds if I know I have a tough week ahead. One of the days when I didn’t have a good meal prepared I took out the versatile kale from my fridge, and add some quinoa to toss up this beauty. This delish dish is so good for lunch or even dinner. It is light. However, makes you feel fuller for longer as it is high fiber. It has the perfect balance of all the macro nutrients you need. And it is practically a 10 in ute job, which made my life so much easier that day. This salad is perfect for fitness enthusiasts and weightwatchers. Wash the kale leaves and add some lime juice on it to make it a little soft and to get the bitterness out. For the cashew butter: Soak the cashews overnight. Add the cashews, a little bit of sesame oil. Blend the cashews till it turns into a paste. (I usually keep this handy in my refrigerator). And voila! Enjoy your meal. And if you haven’t signed up for my weekly email, where I send awesome recipes, health tips and more… then SIGN UP NOW! ? You’ll love it.